All School Trips at Park are planned well in advance, ensuring student safety is at the forefront of our priorities. Our trips offer the students new experiences and diverse learning opportunities. Our trips can be paid for in advanced online via SCO Online Payments or paid for in person. An opportunity for Year 11 students to explore one of the biggest and most exciting cities in the world first hand and gain valuable life experience and skills. 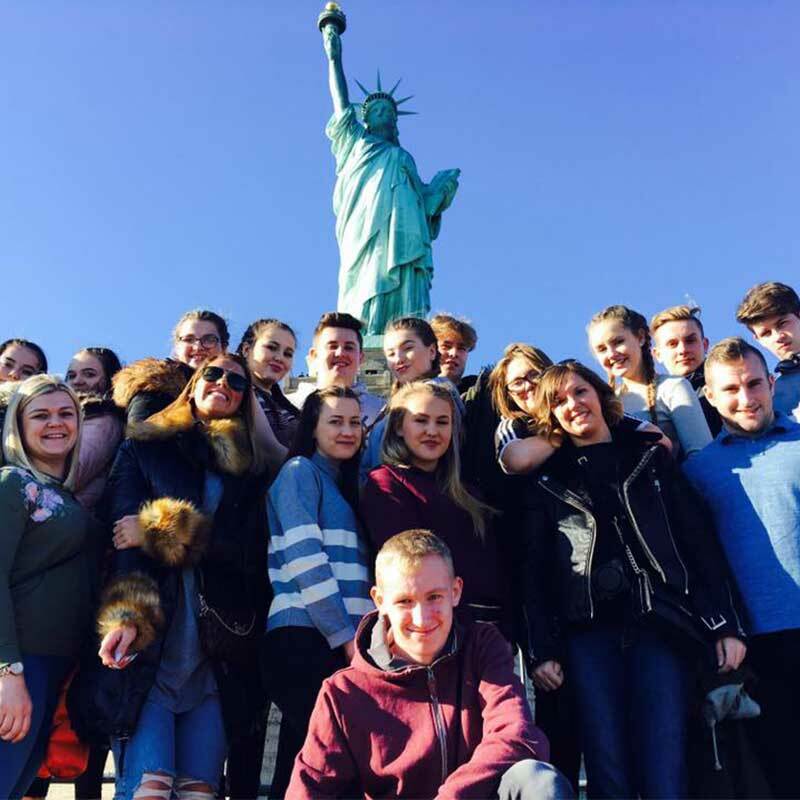 Year 9 only STEM/Educational trip to Disneyland Paris. Selected Year 9 Students have been invited to join the MFL department for an exciting Spanish adventure in London. Students will enjoy a Tapas meal followed by a Tango performance at the Peacock Theatre in London. Notes: Payment due by Friday 5th October. Selected Drama & Dance Students have been selected to take part in Rock Challenge 2019. Year 8 Students are invited to an event at Portsmouth Guildhall to inspire their future career choices. Selected Year 11 students have been invited to take part in a Revision Day at the University of Portsmouth. To celebrate the fantastic start selected students have made to the term, they have been invited on a mentoring reward trip to Portsdown Hill. Selected More & Most Able Students are invited to visit The Queens College within Oxford University & experience University life first hand. Selected Sports Ambassadors to take part in a Step Into Sport Leadership Course. As part of the LGBTQ+ History Month – Film Club Members have been invited to a free screening of ‘Mulan’ courtesy of ‘Into Film’. Selected students involved with the Dame Kelly Holmes Unlocking Potential Programme will be meeting with their mentor Hannah Beharry at Guildford University. Fairtrade Ambassadors representing Park Community School at a Fairtrade Coffee Morning. Selected Sports Ambassadors officiating at a Dodgeball Tournament for Primary Schools. Selected Sports Ambassadors officiating a Ball Skills Tournament for Primary schools. Below you can find our past trips, these are for archival purposes. An opportunity for Year 11 students to visit St. Edmunds Hall at Oxford University to access a wide range of information, advice and guidance as well as the chance to take part in hands on activities and to meet and talk to students and staff from this University. Opportunity for Year 10 students to visit Chichester Campus for a Service Industry Taster day. GCSE Dance Theory Workshop for Year 10 students, that will involve a speaker from AQA GCSE Dance to come and deliver information to students about the new Dance Written paper. Opportunity for Sports Ambassadors from all years to demonstrate their communication and organisational skills. Horticulture students from Year 10 will visit Wisley Gardens (headquarters of the Royal Horticultural Society) for a Horticultural careers day and tour of the facility. Students from Year 9 and 10 will have the opportunity to develop speaking and listening skills that are essential to their study of English. They will also be given the chance to explore the workings of our national debating system as part of a team of debaters against other schools. Humanities students will be delivering a short reading at Havant Cemetery and attending a reception afterward at the Public Service Plaza, where some of their artwork will be displayed. Selected Year 11 students will attend Revision Day, focusing on improving speaking, writing and memorisation skills in preparation for the Languages’ GCSE examinations. Year 10 students to experience Dance at University level. Year 8 students will be able to take part in a wide range of activities that will give them exposure to the many diverse roles (professional, technical and craft) employed within these sectors. Students will have the opportunity to learn about the various educational options, training courses and apprenticeships from professional employer representatives, career and educational advisers. Year 9 STEM/Educational trip to Disneyland Paris - offering a safe, fun and fantastic environment - a great way for students to bond. An opportunity for Year 11 students to view the sculptures on site and photograph them for their current ‘Structures’ coursework. Year 10 Trip to speak with potential employers, training providers, local colleges etc. to gain an insight to their options when leaving school. Students from Years 7-9 have been selected to take part in Dance & Drama Workshops as part of a Federation Arts event coming up in June. Students from Year 8, 9 & 10 are being taken to Cineworld in Whiteley as a reward for their dedication over the festive period. 2 Year 11 students will travel to Guildford University to present their findings on their project so far. Year 10 Students have been invited to take part the annual PeaceJam Conference at Winchester University. An exciting opportunity for students to meet an International Figure and develop skills of leadership and teamwork. Years 8 & 9 Rugby Refereeing Workshop on the 6th March and Primary Rugby Tournament Year 9 and 10 to officiate on 14th March. Year 11 Students have been invited to attend an evening GCSE & A-Level Dance Workshop at Bedales School in Petersfield. Two Year 9 girls have been selected to attend the First World War Centenary Battlefield Tours Programme, visiting scenes of conflict in both France and Belgium and the Menin Gate Last Post Ceremony – students will be laying a wreath on behalf of the families of Leigh Park. Year 10 Students have been selected to represent Park at the Further Mathematics Support Programme Year 10 Maths Feast 2018, being held at Horndean Technology College. Selected Year 11 Students given the opportunity to attend a careers fair at Havant Leisure Centre to speak to prospective employers/training providers, local colleges and universities. This is a GCSE Drama trip, where the Year 11 students are required to review Live Professional Theatre in their final examination. 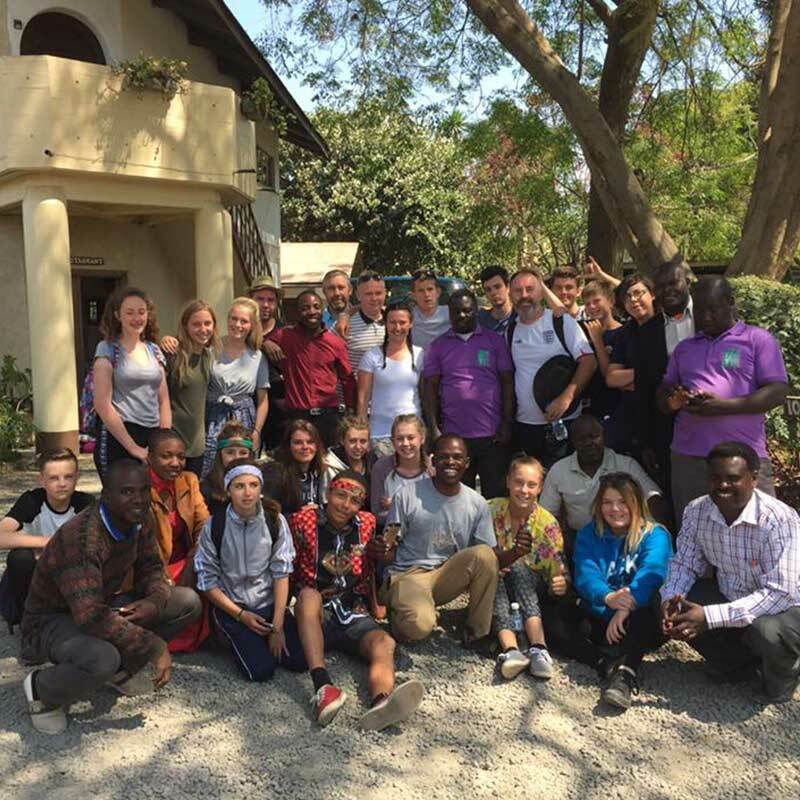 Selected Year 9 & 10 Students have been given the opportunity to attend a Youth Conference to raise and discuss issues affecting young people in the local community. Selected Year 10 Students have been given the opportunity to attend a masterclass at Southampton University. Selected students attended an event organised by Hampshire Music Hub at the Royal Albert Hall. All of Year 7 will attend the Big Bang Fair at the Ageas Bowl in Southampton as an opportunity for our students to see the use of STEM in a variety of different careers. An exciting opportunity for the 2 students who won the most recent heat of Bloodhound Project to attend an event at Portsmouth Dockyard. Essential GCSE Trip to Fort Nelson to allow students to take pictures they need for their exam. Selected students from Year 9 and 11 have been offered the opportunity to visit the South of England’s largest commercial printer. A highly recommended English Language GCSE Conference in London at the Dominion Theatre, aimed at supporting students to reach a Grade 5 or above in their English Language GCSE. An enrichment trip for selected students to visit the Wave of Poppies at Fort Nelson. Year 9 and 10 Students representing Park Community School at an Athletics Competition at the Mountbatten Centre. Year 8 & 9 Students will attend Churchers College in Petersfield to compete in a STEM event against other schools. Selected Year 7/8/9 Students have been invited to the 1851 Trust on the Camber in Old Portsmouth as a reward for good effort in completing science homework. This is an opportunity for Year 9 students, studying French to discover and enjoy one of the most popular parts of French cuisine! A program to broaden the horizons of our young people. All students will have an opportunity to attend their end of year reward trip. Mrs Norman has offered Year 10 Sports Ambassadors the opportunity to go to Butlins by way of a reward for their dedication throughout the school year. Students are taking part in an MOD Arts Event with students attending across the Federation of Schools. Students have been selected to attend a free Sports Festival on Hayling Island due to their continued outstanding attitude in PE. Park Community School Choir have been invited to perform at the Infant School’s Strawberry Fair. Mrs Norman has offered Years 7-9 Sports Ambassadors the opportunity to go to Thorpe Park by way of a reward for their dedication throughout the school year. Year 7 & 8 Students have been selected to represent Park Community School at an Athletics Competition at the Mountbatten Centre. A group of thirty Year 9 Students are attending a Taster Day at Portsmouth College to gain an understanding of College life. Sports Ambassadors will be attending the Primary School Athletics event at the Mountbatten Centre. The Greenpower Team will be competing in Race No. 2 at Dunton Technical Centre. Notes: Places are now allocated. Following the success of student’s Royal Albert Hall Performance back in May, they have been invited to perform again at The Anvil in Basingstoke. Year 9 Design and Technology students have been selected to attend a D&T Event at Horndean Technology School. Year 10 Photography Students will be completing a series of photoshoots in Southsea as part of their ‘Structures’ unit. Selected Year 9 Students – Students will get the opportunity to visit local employers and gain invaluable employability skills. The Greenpower Team have been selected to attend the Goodwood Festival of Speed and Design Seminar. Selected Year 10 Students have been invited to join Mrs Sykes for a French lunch at Café Rouge in Gunwharf, to enhance their knowledge of French cuisine. The whole of Year 7 will join the Humanities Department on a trip to Marwell and Leigh Park Gardens for a number of learning activities. Select Year 11 Students are attending a Social Skills workshop, covering confidence, self-esteem to name a few. Selected Year 7 Students to take part in a workshop centered around raising aspirations through reading at Portsmouth University. Park’s Greenpower team are taking part in the National Finals of the 2018 Greenpower at the Rockingham Motor Circuit. An exciting and enthralling show at Horndean Technology College, to give selected Year 10 students a hands-on experience with real anatomy in a clinical setting. 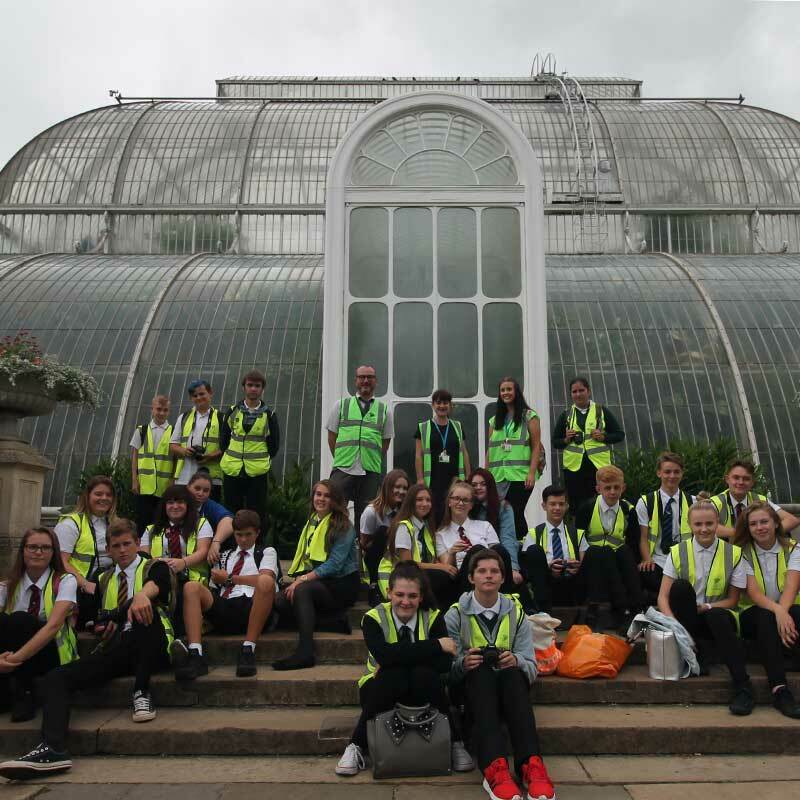 As part of the GCSE Art Course, students are invited to attend a trip to Kew Gardens with a focus on Natural form photography and sketching. Following students participation in a Learn with Us Programme, the University of Southampton has invited students back to take part in a Masterclass. Selected Year 11 More & Most Able students have been selected to attend a visit to Oxford University and St. Edmund Hall, to experience university life first hand. Sports Ambassadors have been invited to officiate an event at the Mountbatten Centre, Portsmouth. Year 9 students have been offered the chance to work at the Dickens Festival of Christmas at Portsmouth Dockyard, to enhance their photographic skills. Year 10 GCSE Photography Students have been offered the chance to expand upon their culture capital allowing them to take photo’s they will need for their current ‘Urban’ coursework. Students involved with the Dame Kelly Holmes Unlocking Potential Programme have been invited to a Conference at Guildford University. selected Year 9 More & More Able Students have been selected to attend a Federation run event at the British National Museum in London. Year 8 have been offered the opportunity to attend a Christmas term reward trip to Planet Ice in Gosport – should they manage to stay at 5 or less behaviour points. Mrs Norman and the Student Voice group would like to get together for a Christmas gathering to celebrate the superb star they have made to the term. Student Voice members have been invited to attend the first Student Forum day at Bay House School in Gosport. Year 9 BTEC Drama Students have been invited to watch Cinderella at the Kings Theatre, as part of their course requirement to watch a live theatre performance.